LIKE NEW! !, very well maintenance, townhome 4 Bedrooms and 2 batons and 1/2 bath with 2 car garage space, JUST only minutes from Disney Attraction and Disney Spring Area, features a lovely front porch overlooking a pond across the street, First floor with extended ceramic title adding a great look to the open great room plan. the kitchen features staggered 42" wood cabinets, granite countertops stainless steel appliances a nice breakfast bar. Master bedroom is located on the 1st floor and the 3 others Bedrooms are on the second floor, Master Bathroom features doble vanity with granite countertops. Laundry rooms is convenient located off the kitchen and open to a private patio following by a detached 2 car garage. Windermere has a top-rated local schools , also a large conservation areas , family friendly public parks , walking and biking trails, that is why was designated specifically for falibles of all sizes with a friendly atmosphere and a convenient location, Club house features a tennis courts , resort style pool with spacious area and cabanas, basketball courts and playground. 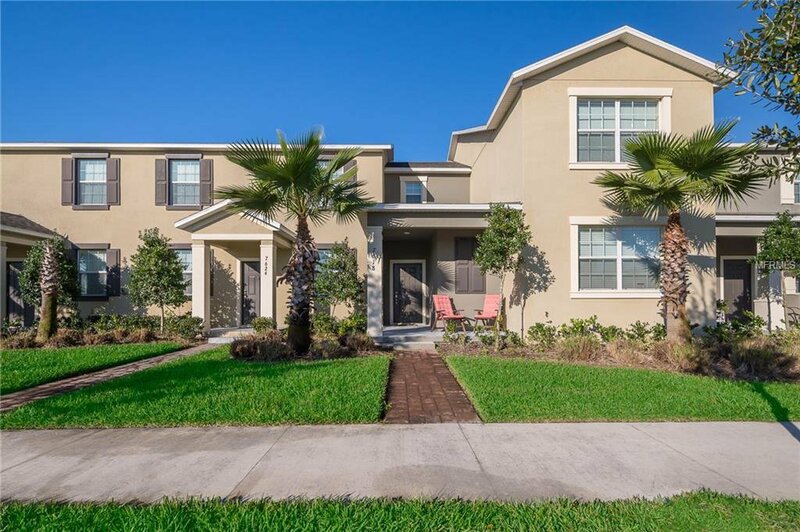 Easy Access to local Highways that will take you to central Florida areas, a Nice townhome and community to call home. Listing courtesy of METROPOLITAN R.E SOLUTIONS INC. Selling Office: METROPOLITAN R.E SOLUTIONS INC.